“The Pool Guy.” We know. You almost shutter when you hear the phrase. And for good reason. The typical stereotype of a pool service “guy” – known fondly as “the pool guy”, “pool dude”, or simply “Dude” – includes a three-day old beard, a ratty t-shirt, a strong stench, a dirty truck, and a cell-phone that may or may not pick up when you call. We’re changing that image by providing the highest quality pool service available in Central Pennsylvania. 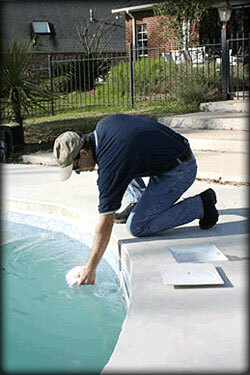 In the large areas we serve, our pool technicians represent the most professional members of our industry. Our pool service customers are sure to have a friendly, clean, knowledgeable, and responsive Atlantis Team member in their backyard each week. Someone watching, inspecting, maintaining and repairing equipment without hassle. There are lots of other great benefits to being a pool service customer. But the feedback we get most? It’s fun being a Atlantis customer and part of the Atlantis family. Once you’re a customer of ours, we take care of you and treat you like a family member. So whether you need our platinum service package, our gold package, or our basic chemical service, we look forward to welcoming you to the Atlantis family. To learn more, call 717.795.9791. Would you like to learn how you can save $thousands$ of dollars in operating cost’s? Take a look below and find out how how Atlantis Pools and Pentair can save you a bundle, It’s time to get green and start saving money on the operation of your commercial facitily. Call us today to schedule your “free” energy saving survey, don’t wait start saving money now! After months of pressure from AH&LA, the Department of Justice ( DOJ) yesterday issued a burdensome interpretation of when and how lifts need to be installed at swimming pools under the Americans with Disabilities Act ( ADA). Although the DOJ did not specifically address spas, the principles set forth in the DOJ guidance could apply to spas as well. Lifts need to be available and in position at each pool at all times when a pool is open to the public. Only “fixed” lifts are acceptable, unless a hotel can demonstrate that installing such a lift is not readily achievable**. Lifts cannot be shared between a pool and a spa. 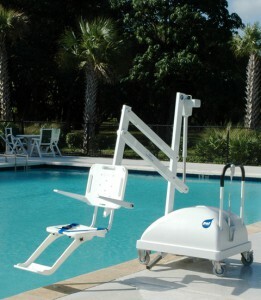 Pool lift batteries must be fully charged and ready for use at all times the pool is open. ** If it is not readily achievable to have a fixed lift, then a portable one can be used if it meets the 2010 Standards requirements and the lift is securely in place during all operating hours. In discussing the factors to be considered in the highly-fact dependant “readily achievable” analysis, DOJ failed to recognize “legitimate safety requirements” as a factor, even though it is in its own regulations.